Have I suggested/demanded you read “Outermost House” by Henry Beston? If not, you should. No, and on your recommendation I will! What wilderness reads do you recommend? (Beston is tamed wilderness, because he is an Easterner.) I could use some new books other than my super-fun dragon-ninja girl-masquerading-as-boy read. Right now I’m reading a fascinating old book called “At Home in The Woods” by Vena and Bradford Angier. It’s definitely a product of its times (circa 1950) but I must love a book whose first illustration is a photo of Vena holding a rifle. I think I’ve mentioned Pam Houston’s “A Little More About Me” before. I still have a soft spot for Gary Paulsen’s “Hatchet” from when I was a kid but his memoir “Woodsong” has some memorable images that have stuck with me for decades. In a different kind of wilderness, Steve Callahan’s “Adrift” is pretty stunning. I believe I’ve read “At Home In the Woods.” I’m thinking of rereading “My Side of the Mountain” too. And I’ll look up “Adrift” and Pam Houston’s book (which maybe I’ve read?). My brain is a sieve. 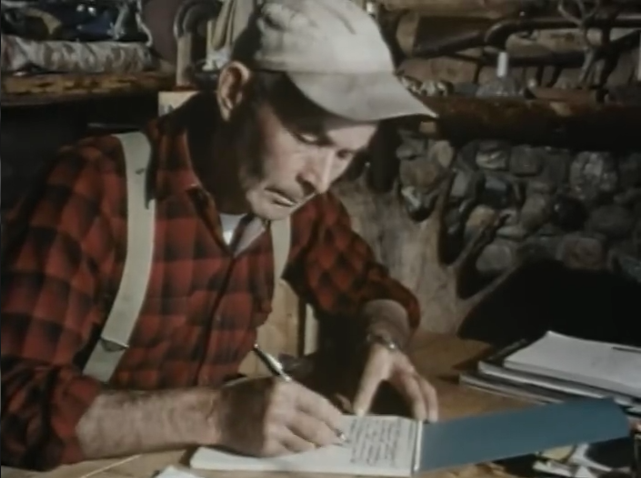 The pen Mr. Proenneke is using is a Sheaffer with a conical Triumph nib. We can’t see enough of it to identify it more specifically. 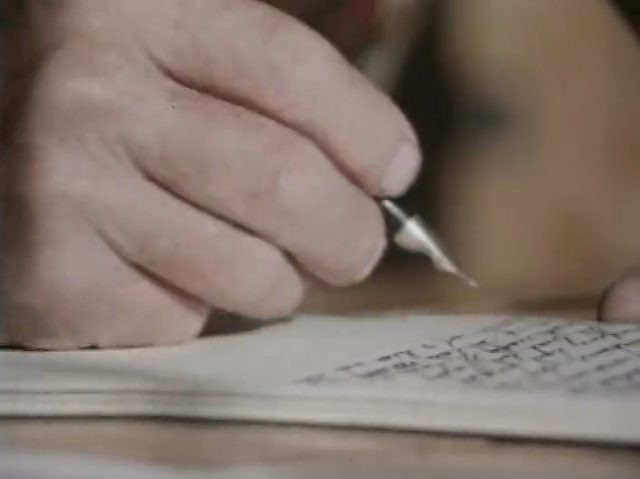 It’s not a PFM–those pens had inlaid nibs. I enjoyed reading about him, even though that’s the sort of thing I would never do. Thanks! I’d forgotten about those inlaid nibs.